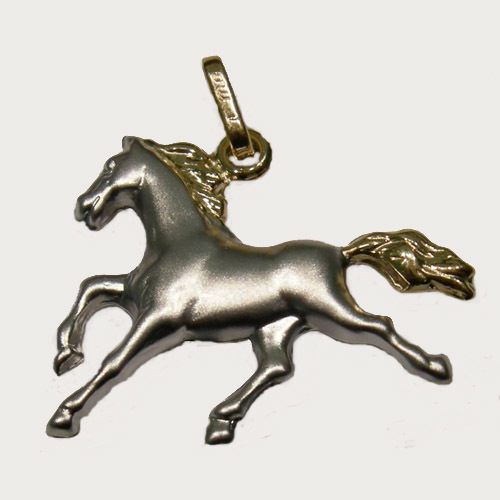 Desc: 14 karat yellow gold and Rhodium 3 dimensional galloping horse. The body of the horse is fashioned from Rhodium, a metal in the Platinum family of metals. The mane and tail and bale are fashioned from 14 karat yellow gold. The body has a frosted textured finish. The mane and tail have a bright polish finish.